What is Dragon? What are the Dragon Triad Armies? What is the purpose of Dragon and why are we so entwined with them still to this day? Why do some Dragons hold a pearl? What does the symbol of Dragon mean? What types of Dragons are there? How do you recognize one? What are the Dragon families purpose and how do they operate? The relationship between Earth and Dragons. Dragon tattoo’s the history and magic behind them. The Mahabharata; how Dragons where affected and what Hollow Earth has to do with it all. Deeper understandings of what Dragon means to our worlds and realities. Advanced Dragon Talk. Dragons and DNA lineages. Imprinting of Dragon force onto the masses. The Dragon magic behind ink and signatures. Dragon Clans and Dragon Elemental energy. Martial Arts and Dragon connections. The Dragons and their roles in the Galactic Ascension machine process. What Dragons and Genghis Khan have in common. We will be live 4:00 PM Pacific time, August 8, 2018. Dragons Uncovered Part I & II, be ready to be surprised at what Andrew uncovers as he answers questions about Dragons, how the system has used and abused them and how to re-connect to them.. if you dare!! 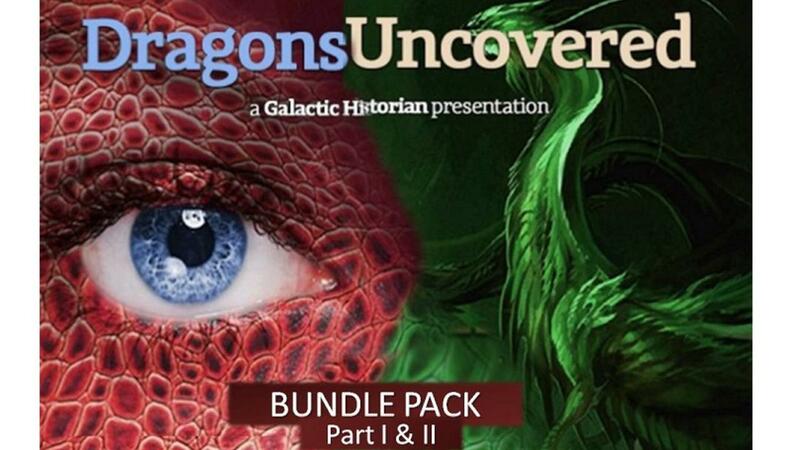 Dragons Uncovered Part I & II be ready to be surprised at what Andrew uncovers as he answers questions about Dragons, how the system has used and abused them and how to re-connect to them.. if you dare! !